I would probably marry Sarah Silverman. She is a bit older than me, but I could get over it. Just sayin. Great job, Molly. You are my hero. 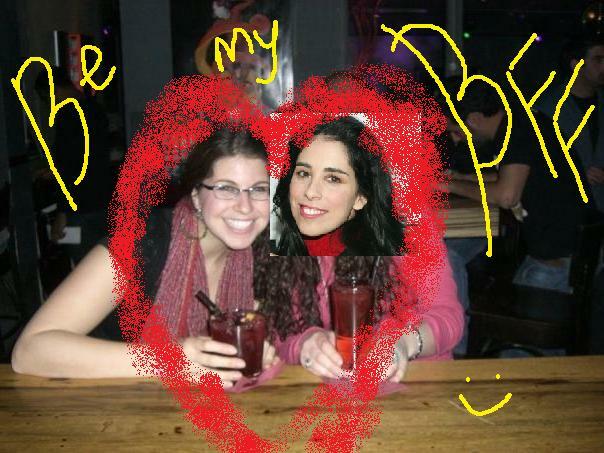 "‘Be My BFF’ Campaign: Sarah Silverman Be My Friend" was written June 12th, 2011	by thebigfelafel, and filed under funnnny, Jerusalem Scene, Wisdom Gained and tagged best friend, BFF, comedy, facebook, felafel, hahafuch, Hebrew University, improv, Israel, jerusalem, Posts by Molly, President's Conference, Sarah Silverman, Twitter.